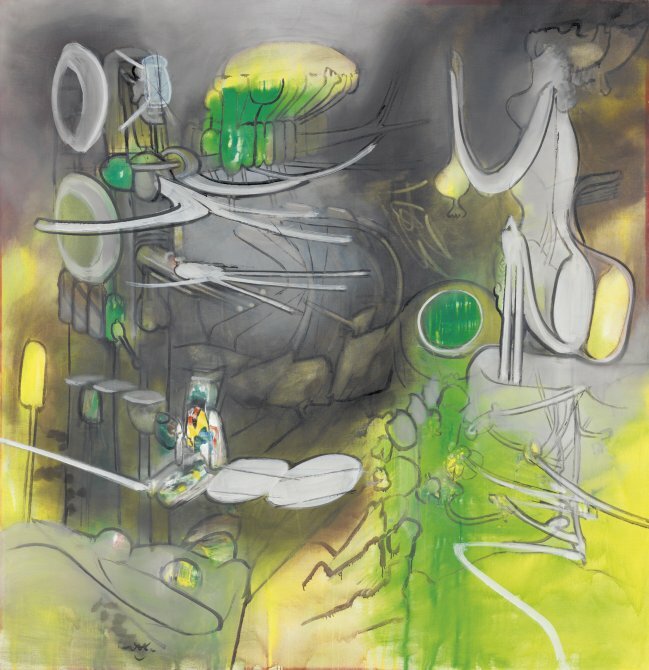 The new installation of the five large canvases of the series L’Honni aveuglant (The Dazzling Outcast) by Matta from the Museum’s Permanent Collection reflects the way that the artist hung it for its first presentation at the Alexandre Iolas Gallery in Paris in 1966. 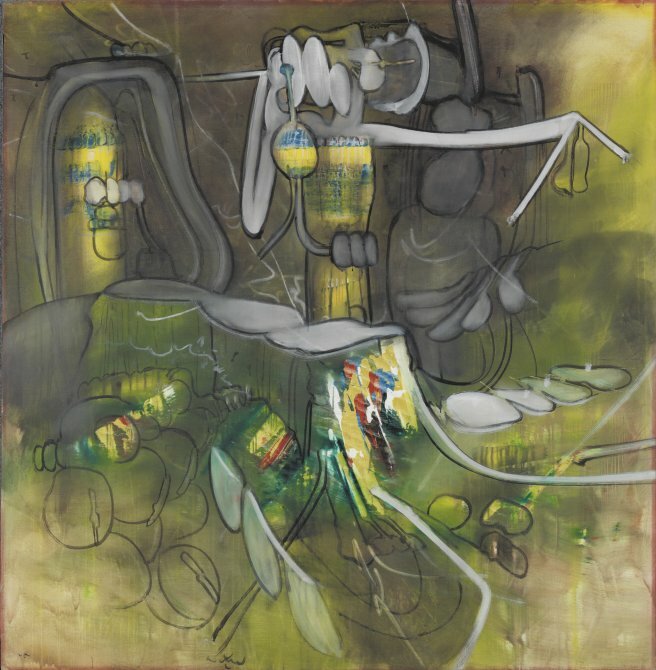 The Chilean artist Matta presented this series using his “open cube” system. The result was a type of modern polyptych that created a box which enveloped the viewer. 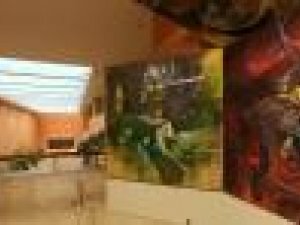 Two of the canvases were displayed horizontally, suspended from the ceiling and closing the space created by the other three. 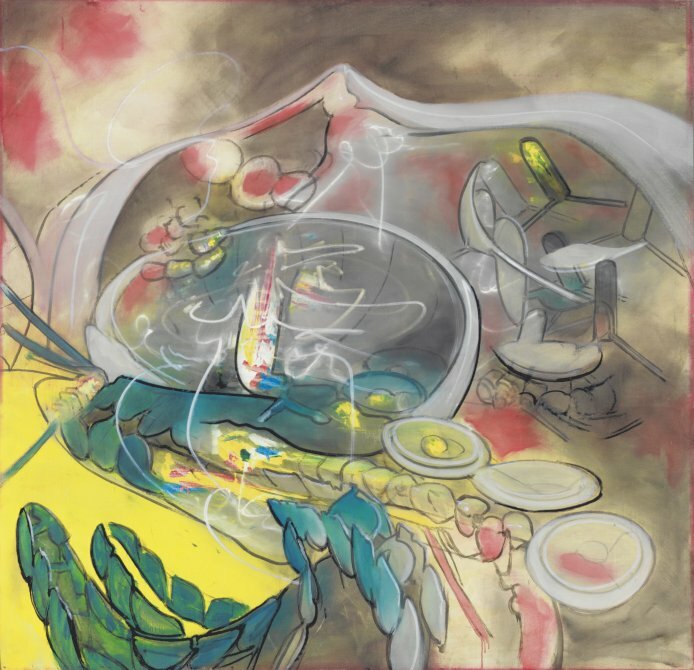 Through this spectacular installation Matta submerged the viewer in his pictorial universe, which was hermetic, hallucinatory and filled with literary, spiritual and artistic references. 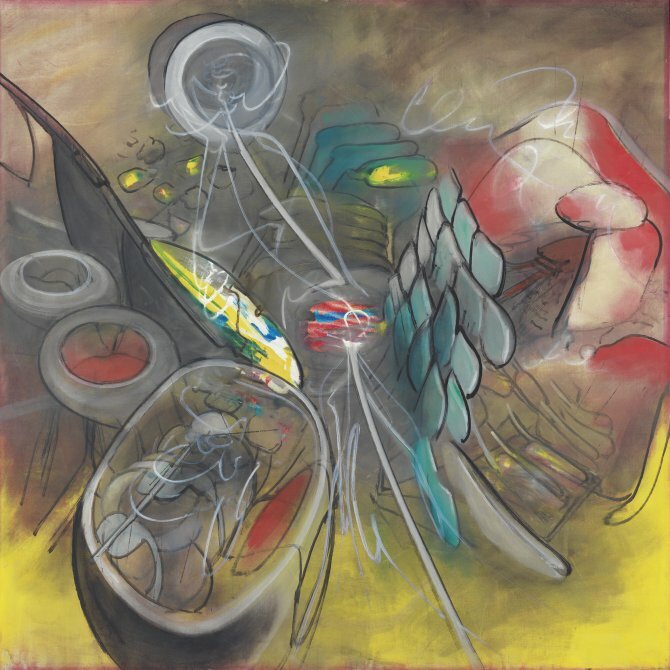 Forty-five years later and on the centenary of the artist’s birth, to be celebrated in 2011, the series can once again be seen in its original splendour.